items.I've never been, so it's a little wishful thinking. :) It's definitely on my travel bucket list and these handmade items are a great substitute (for now)! 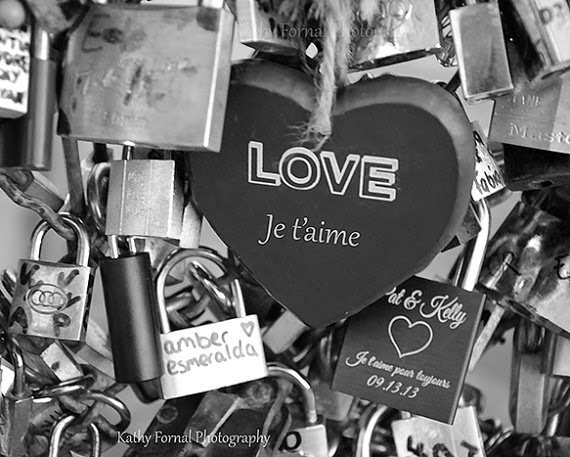 The Paris love locks are a must-see overlooking the Seine River. This B&W print is available from the KathyFornal Etsy shop. Audrey Hepburn quote! Not only the quote, but I love the tiny heart effect on this print. This print and many others are available from the Raceytay Etsy shop. Amazing, huh?! 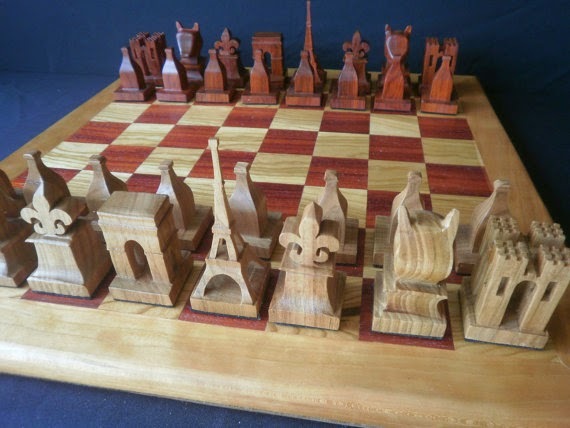 These chess pieces are so great and IMHO worth the price! You can find it in the OOTWscrolling Etsy shop. 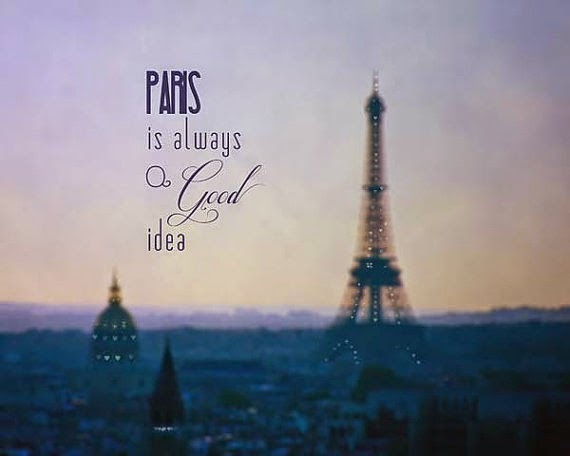 Wearing a piece of Paris would be nice too! 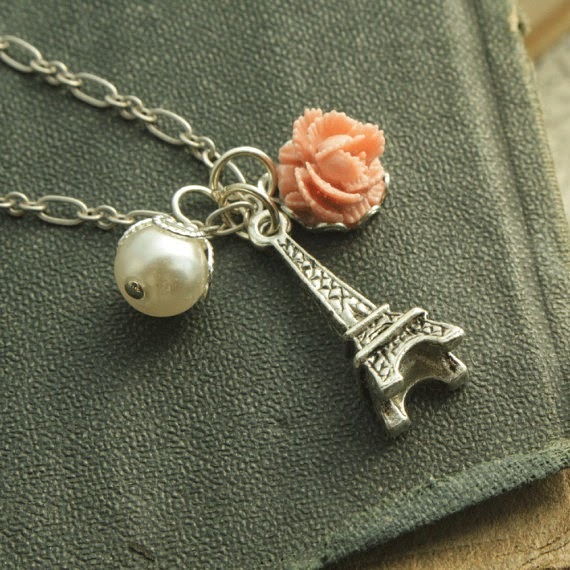 Check out this Paris Rose necklace from the HeatherBerry Etsy shop. So pretty!